LONDON—U.K. Prime Minister Theresa May asked Donald Trump to intervene in a court dispute between Boeing Co. and Bombardier Inc. over state aid, her office said. 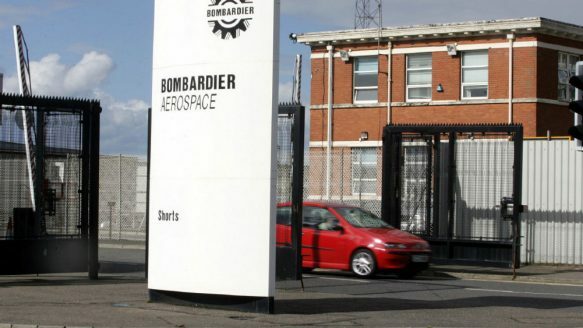 The request, made in a call with the U.S. president last Tuesday, came as her government seeks to protect jobs at a Bombardier plant in Belfast. May’s government relies on votes from Northern Ireland’s Democratic Unionist Party to pass legislation through the House of Commons. May raised the case with Trump after the intervention of DUP Leader Arlene Foster, the Times of London newspaper reported, without saying where it got the information. Boeing is pressing the U.S. International Trade Commission to impose tariffs against its Montreal-based competitor over sales of its C-series jets at “absurdly low prices” while receiving unfair government support, including a loan from the British government amounting to £113 million ($180 million Canadian). The commission ruled in June that Boeing may have been harmed by sales of C-series aircraft at less than fair value. Alongside May’s intervention, Business Secretary Greg Clark travelled to Chicago to meet with Boeing executives to try to find a solution to the dispute and safeguard about 4,500 jobs in Bombardier’s Northern Ireland unit, his office said.